Witness the beauty of Phuket unveil right in front your eyes with a guided sightseeing day tour around the city! 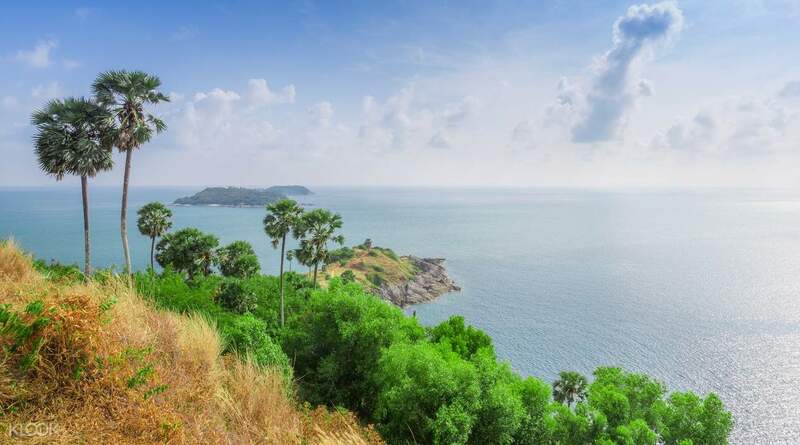 Get to visit various viewpoints such as Kata, Nai Harn, and Promthep cape points and revel in the picturesque overlooking views of Phuket. Meet lovely and adorable creatures such as baby elephants and wild monkeys throughout the day. 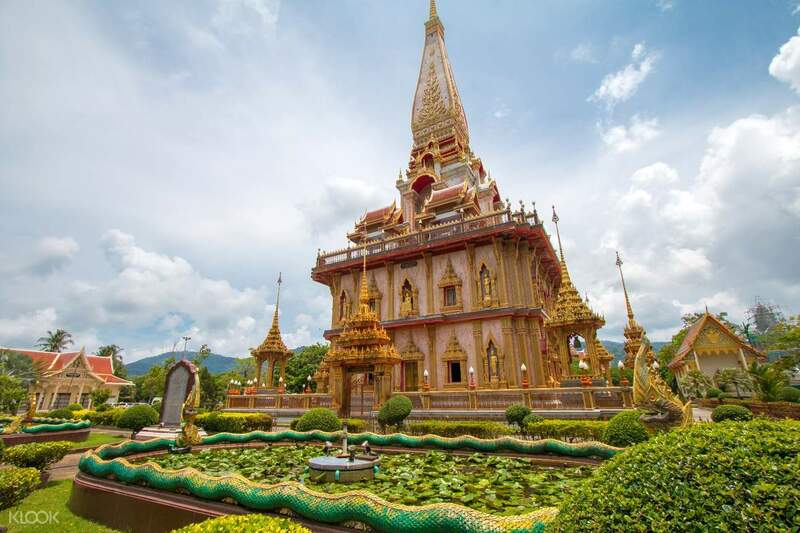 See the grandeur of the Big Buddha and the intricate designs of Chalong Temple. 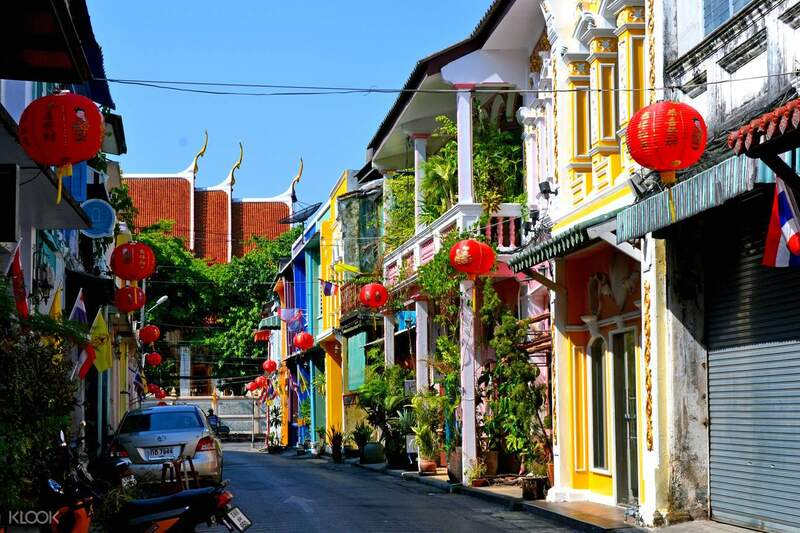 Stroll around the old town of Phuket and its market places to get to know the Thai local culture, and even get to watch street boxing matches! Take a quick trip to the top of Rang Hill where you can observe wild monkeys and get a great view of the city from above. Have a hassle free experience with round trip transfers available in the packages! A minimum number of 6 participants are required for the tour to run. Bookings will be confirmed at least 24 hours before the tour date. If the minimum number is not achieved, the operator will suggest another date or a full refund will be given. The tour may be canceled in cases of bad weather. You will be given the option of booking an alternative date or requesting a full refund. It’s a great day trip, our tour guide Kim given out enough information about the places we visited. She helped me to take some photos also. We stayed at the big Buddha for about 40mins, the driver drive around Phuket town a bit. Overall It’s a quick tour of all you need to see of the city tourist view points. It’s a great day trip, our tour guide Kim given out enough information about the places we visited. She helped me to take some photos also. We stayed at the big Buddha for about 40mins, the driver drive around Phuket town a bit. Overall It’s a quick tour of all you need to see of the city tourist view points. Me and my wife really enjoyed this Phuket City Sightseeing Tour. Definitely a must when u visit Phuket.Seeing the beaches around the island, the view of Andaman sea.Be amazed of the Wat Chalong Temple and Big Buddha Structure. 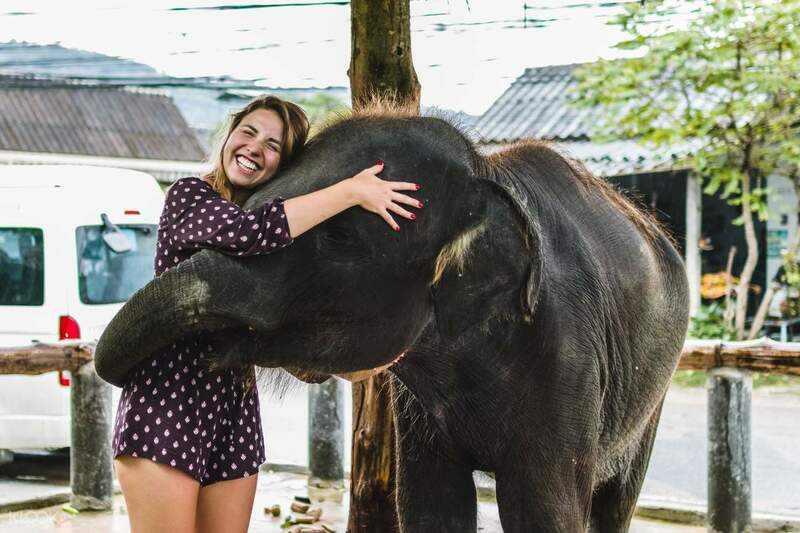 Meet sweet Mina(the baby elephant) . A tour not to be missed. Thanks to Kim, our bubbly tour guide. Me and my wife really enjoyed this Phuket City Sightseeing Tour. 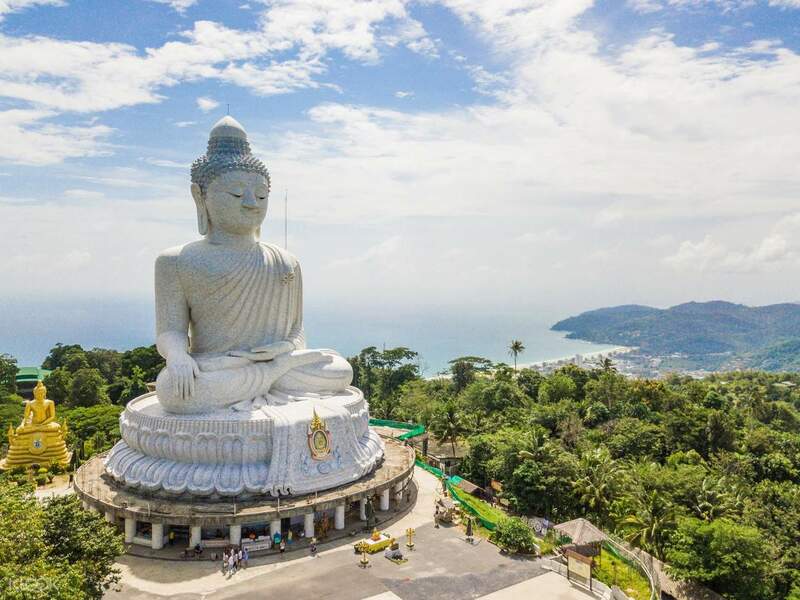 Definitely a must when u visit Phuket.Seeing the beaches around the island, the view of Andaman sea.Be amazed of the Wat Chalong Temple and Big Buddha Structure. Meet sweet Mina(the baby elephant) . A tour not to be missed. Thanks to Kim, our bubbly tour guide. The trip was amazing and especially the guide Kim who spoke really well and gave a lot of details about the places and culture of Thai. This trip is definitely worth the money and I would recommend all travellers who is looking to explore the Phuket for half day to pick up this package. The trip was amazing and especially the guide Kim who spoke really well and gave a lot of details about the places and culture of Thai. This trip is definitely worth the money and I would recommend all travellers who is looking to explore the Phuket for half day to pick up this package. we really enjoyed our tour. from pickup and dropped off . specially our tour guide kim one of a kind. always smiling and very friendly. highly recommended of course book it with klook safe and affordable. we really enjoyed our tour. from pickup and dropped off . specially our tour guide kim one of a kind. always smiling and very friendly. highly recommended of course book it with klook safe and affordable. Kim is such a sweetheart. Very talkative and always willing to take photos. The tour included most of the highlights of Phuket within a short time frame but did not feel rushed. Would definitely recommend. Kim is such a sweetheart. Very talkative and always willing to take photos. The tour included most of the highlights of Phuket within a short time frame but did not feel rushed. Would definitely recommend. A great tour. The tour guide namely Kim is very friendly. This is a half day tour with many stop and sightseeing. Therefore it may make you feel rush because of limited time. There is no stop for lunch, so be prepared, have a nice breakfast before you have this tour. A great tour. The tour guide namely Kim is very friendly. This is a half day tour with many stop and sightseeing. Therefore it may make you feel rush because of limited time. There is no stop for lunch, so be prepared, have a nice breakfast before you have this tour. got pickedup on time from our hotel and taken to places around important site seeing locations aroundphuket. we got a chance to view and get to know about the places from our tour guide. wat chalong and big buddha are highlights of this tour. tour guide gave ample time to explore the places and covered all the places before dropping us promply in our hotels. got pickedup on time from our hotel and taken to places around important site seeing locations aroundphuket. we got a chance to view and get to know about the places from our tour guide. wat chalong and big buddha are highlights of this tour. tour guide gave ample time to explore the places and covered all the places before dropping us promply in our hotels.